In 2016, several automakers, twenty in fact, that control 99 percent of the U.S. market agreed to make Automatic Emergency Braking (AEB) a standard feature across almost all of their models by 2022. As the one-year anniversary of this pledge approaches, some manufacturers have made a considerable effort in honoring this commitment, while others have done little or nothing at all. 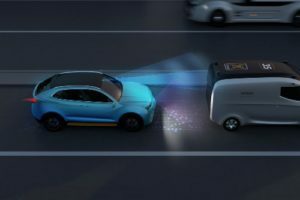 The National Highway Traffic Safety Administration (NHTSA) and the Insurance Institute for Highway Safety (IIHS) negotiated the voluntary agreement driven by the idea that consumers would benefit from technology more quickly if compliance were voluntary, rather than mandated through regulation. The promise applies to all models except heavy-duty pickup trucks. The agreement also includes a pledge to adopt forward-collision warning (FCW). “It shouldn’t take buying a luxury car or pricey add-ons for a consumer to get this protection,” says William Wallace, policy analyst for Consumers Union, the policy and mobilization arm of Consumer Reports. “All automakers should quickly make both low-speed and high-speed systems standard.” However, the agreement mandates the implementation of low-speed AEB systems. Thus, manufacturers are under no obligation to offer high-speed AEB systems on their models. A car equipped with AEB senses a potential collision with a vehicle in front and if the driver doesn’t timely react, the system activates the brakes. The latest IIHS study found that rear-end crashes for models equipped with AEB were reduced by 50 percent. Volvo, Toyota, and Mercedes have done the most to honor their pledge. Volvo made AEB standard for all its models in 2014, while Toyota made AEB standard on all models by the end of 2017. Nissan claims it will sell more than a million vehicles with AEB in 2018. AEB is a standard feature on every Mercedes model except the G-Class. Mazda made its low-speed AEB systems standard on all 2018 models except for the MX-5 Miata. Ford offers AEB as standard on the 2019 Edge and Fusion models. It offered AEB as optional on the 2018 Expedition, F-150, Mustang, and Fusion models. Chevrolet offered AEB as an option on many 2018 models. General Motors made AEB available for about nine models in 2018, but it was not standard on any model. If you have any questions about litigating a claim for damages resulting from any type of vehicle accident, contact Powell Law. If you have any questions about litigating a claim for damages caused by a defective product, contact Powell Law. Our decades of experience make it the clear and obvious choice to meet all your legal needs, especially for representation in personal injury matters in the Scranton/Wilkes-Barre area. Contact Powell Law at call (570) 961-0777. The consultation is FREE.